The 3rd EuPRAXIA Collaboration "Week" will take place on July 4th - 6th, 2018 in Liverpool, UK. During the collaboration week, all participants will have the chance to meet and update each other on work progress. After a common half day on Wednesday morning, Wednesday afternoon and Thursday morning are reserved for individual work package (WP) meetings. There will be meetings across different WPs with common topics or interfaces. The final session will bring together again the whole collaboration, to discuss the outcomes from WP meetings, outstanding topics, problems and plans for the rest of the year. 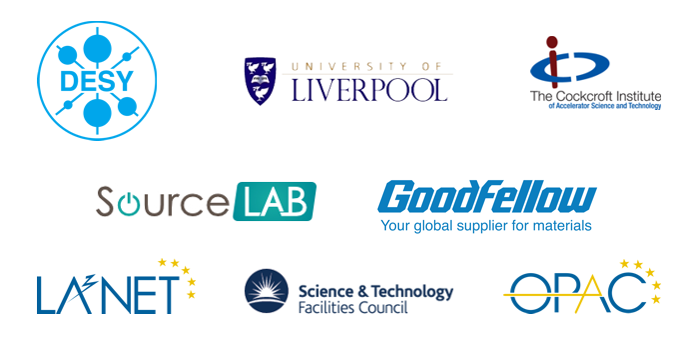 As a highlight of the week our EuPRAXIA Symposium “Quantum Leap Towards the Next Generation of Accelerators” will take place on the third day of the Collaboration Week at the Liverpool Arena and Convention Centre. It is an integral part of the meeting and a unique opportunity to showcase our project to other research communities, policy makers, industry and a wider public. We will also use this event to promote our work with the EC and REA. There will be talks throughout the day, interactive demonstrations targeting high school and university students, as well as a dedicated industry exhibition. There will be ample opportunity for all participants to engage in wider discussions and discuss further collaborative research opportunities. Please note: We charge a fee of 100 EUR to cover some of the costs of the event. Please make sure to transfer the money in advance. You can only attend the meeting if you have paid in advance. There will be no possibility to pay in cash. After your payment you will receive a receipt from the University of Liverpool.